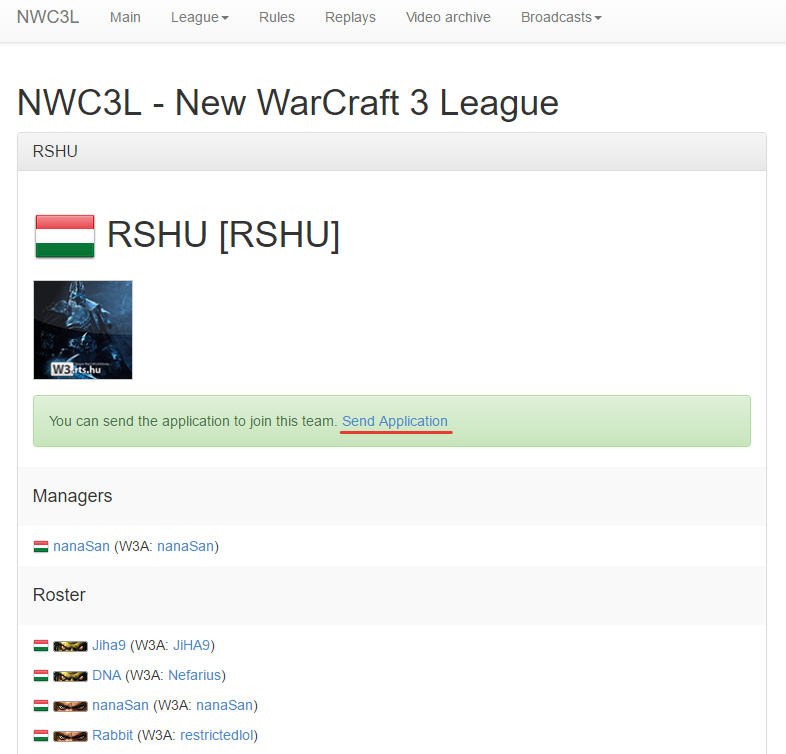 After long break we countine our NWC3L journey with number 12, all are welcome! Then your players must register and send request (button in team profile) to join your team. When you accept 4 players in roster, you can enter in qualification at right block - button "JOIN". King of the Hill system for Group Stage. If you find any bug, make report in comments please! Not need double accounting please, if you lost access for your account or wanna change name, just report here! We are still missing $100 from NW3L, when will we get paid? 1st matches planned at next sunday! Schedule coming tomorrow.